I have always insisted that I will never become one of those people who stays in the office until seven thirty every night. For me it’s a sign that a person has nothing better to do, and no life outside of work. For the past three weeks, however, the office has become my best buddy, the one place where I can at least pretend that everything is fine, and where life goes on as normal, or as normal as possible, from 9am to 7pm. It’s when I get in my car at the end of the day, and rather than heading south on the A7, I negotiate the city traffic to reach my friend’s spare bedroom, that the reality of my situation hits home and I almost wish I could turn around and head back to the relative safety of my desk… I guess desperate times call for desperate measures, and these are really desperate times. The thought of starting again, moving on, organizing a new place in which to live a completely new lifestyle is nothing less than terrifying. I’ve been there, done that, and was quite happy to settle into a stable routine, where Saturdays were for home improvements, and Sundays for ‘us time’. Unlike many girls my age, I didn’t come to Italy for him. I came for work five years ago, lived the single girl life for a while, and would almost certainly still be here had I not met Luca. But I did meet him, so life became about ‘us’, what ‘we’ liked to do, where ‘we’ liked to go and how ‘we’ wanted to live. No one else was involved on either side, Luca and I are still in touch, and although he’s desperate for me to come home, I know that it’s better this way. At least for now. Some problems are bigger than the person they affect and way bigger than those who suffer the knock-on effect. I’m tired of picking up the pieces. 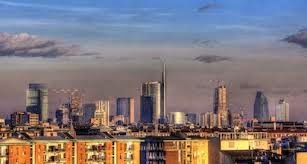 So, as my mum would say “Onwards and upwards”,,,,,which leads me to my next problem: Cercasi bilocale arredato, nord Milano / Monza, con posto auto coperto…. I do hope things work out really well for you. That is such a big move, but if you weren't happy, I suppose that is the way forwards..Good Luck. Good for you for having the strength to look ahead! I hope it all works out. Take extra good care of yourself. Oh dear :( Hope you're doing ok. It's true that time will heal. I am so glad that you have such a good support system there to help you get through this. I went through the same situation a few years back and don't know what I would have done without mine. I wish you all the best and look forward to reading about your new life's adventures. Stay up! Sorry to hear about this Emma. I hope everything works out for you in the end. PS Thanks for the coffee!